I love your pink gown! It's so simple and beautiful. 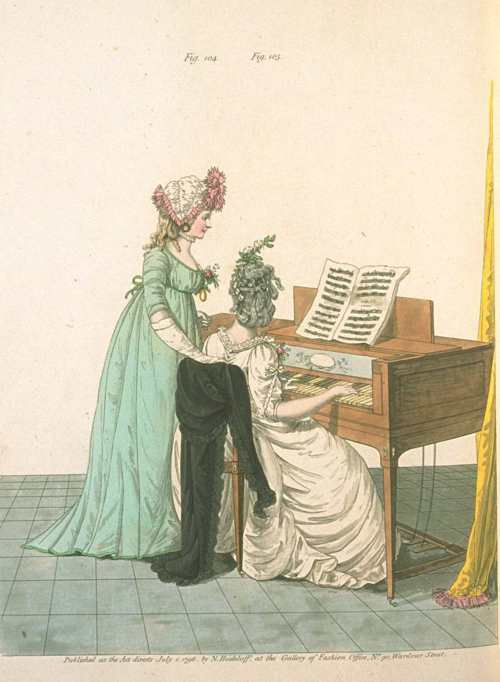 That's why the earlier Regency styles are my faves. I actually used this fashion plate as inspiration to make a gown. I came across it on Dames a La Mode just after I'd purchased yards of gorgeous light teal cotton lawn. It was fate! 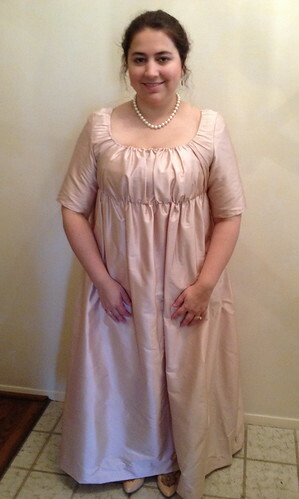 It's almost done, just one more line of trim to sew; then I'll post about it on my blog (sometime). Oh, great job! Thanks for sharing!